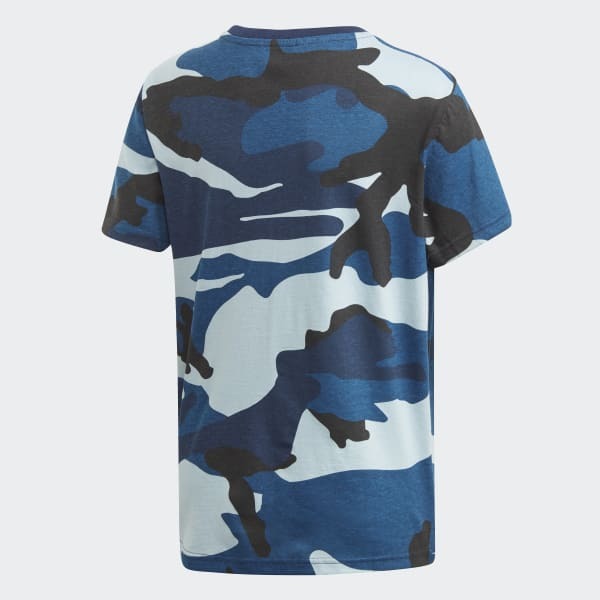 A tee that's covered with an eye-catching camouflage graphic. A sporty look that's ready for warm weather. 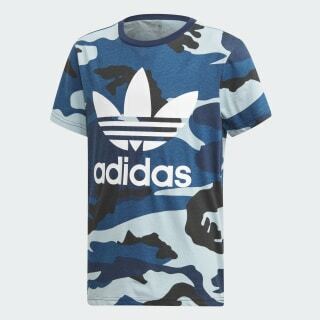 A seasonal camouflage graphic and a big Trefoil logo add oversize attitude to this juniors' t-shirt. The tee is made of soft, naturally breathable cotton jersey for a comfortable feel.